Plenum USB 2.0 High-Speed Active Extension Cable - 35 ft.
CableWholesale's Plenum USB 2.0 extender cable is designed for use in schools, offices and other areas with stricter building codes. Regular USB cables can only be up to 15 feet long, but active extension cables also users to place devices longer distances away, giving users longer runs and more setup flexibility. 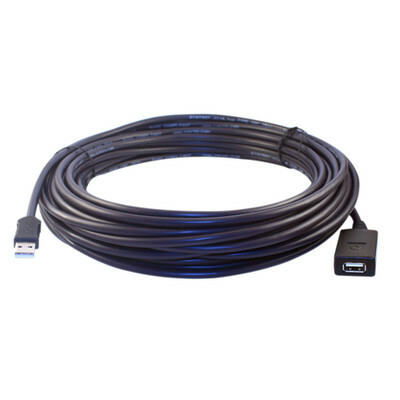 Each 35-foot USB Type A Male to Type A Female cable has a PVC plastic jacket that is fire-resistant for use in air circulation areas. We have the best customer service on all our USB products.